Most can agree the hardest part of being an artist is showcasing your work. Unless you are in a big city like Los Angeles or New York, it can often seem like no opportunities exist at all, but that is not entirely true. There are about six different events no further than a 40-minute drive from the CSUSB campus, where an artist of any level can set up shop. These events are called art walks, and they happen all year long, some as often as once a month. A typical art walk is an organization- or city-run event that is open to the public and features artists of all kinds in a family-friendly environment. Art walks allow visual artists and vendors to set up booths to showcase and sell their original work, and they allow performing artists like musicians and dancers to perform and promote themselves. Local businesses such as cafés, retail shops and galleries also contribute to the creative festival. Many of them will host an open mic night or showcase an artist’s work within their business, while others may simply remain open to the public during hours they are usually closed. The six major hot spots in the area for these walks are Riverside, Claremont, Pomona, Redlands, Rancho Cucamonga and Ontario. Each city hosts the events at different times of the month so both attendees and artists have the opportunity to visit them all or find one that reigns closer to home. Pomona’s art walk happens the second Saturday of the month and has wonderful reviews. It’s located in the Pomona arts colony downtown and features a farmer’s market and many businesses and galleries are open late. For more information, you can look it up online at downtownpomona.org. Redlands art walk happens biannually, hosting one event in fall and one in spring. The next event date is March 25 and will showcase many local artists, and provide live music next to a beer garden. The event is always located in the heart of downtown Redlands on State Street. 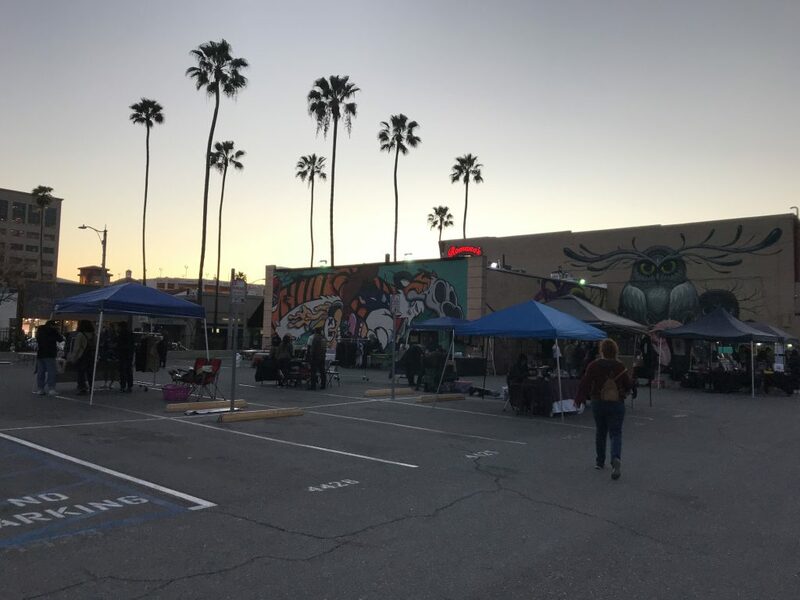 Riverside’s art walk happens the first Thursday of every month from 6-9 p.m. It’s a tad smaller than Pomona’s art walk, but what it lacks in size it makes up for in talent. The largest attraction to spot in this event is the Artist Vendor lot on the corner of Lemon Street and University Avenue in downtown Riverside. Claremont’s art walk happens the first Saturday of every month, from 6-9 p.m. Claremont has had a rich art culture since the early 1930s and has continued growing since. You can visit Claremontartwalk.com for a quick history of the city’s art culture, as well as a list of all participating art galleries. The Ontario Artist Lofts and art walk happens every few months. It allows the public to tour artists’ personal lofts and studios, where many of them paint live for the public. To learn more about the dates and the event, you can visit Ontarioartlofts.com. All art walks help to create and maintain a sense of community within their cities in their own unique way. They allow local artists an opportunity to showcase and sell their work while providing attendees a relaxed evening out close to home.